My name is Louis Scarantino. I’m 27 years old and I have autism. Back on my 21stbirthday, my sister told me at my first bar visit that I’m a good writer. I never thought I’d pursue writing until I had the greatest moment of my life which was meeting Shania Twain. I knew I had gifts after meeting her which changed my life forever. I started sharing that story every opportunity I get. I was 22 when I started pursuing writing over this. I first got published through an Autism Awareness page called “Autism Awareness.” Only took a couple of months. I grew as a successful writer through my friend Kelly Douglas being recruited through other blogs after meeting on The Mighty when I got published there. In 5 years, I’d like to have a couple of books published and maybe have an article published through magazines. I also hope to be a motivational speaker to spread my stories on Autism Awareness in any way I can. I met a lot of people through my writing. For this article, I decided to make it a writing project. I went around and asked people to share their stories on how they became writers. I interviewed 9 people who were interested in this project idea with a series of questions. Their stories are below based on their answers. Tylia was inspired to write based on everyone she knows who has a disability. She was also inspired by her mom and deceased best friend. She was 15 years old when she started pursuing it. It took a year for her to be self-published as her first piece that was published when she was 16. When Megan was a teenager at 14, she chose to start a personal blog as a way to cope with her emotions and make sense of a world that tends to confuse her. She had a miscarriage in 2017 which led to one of her friends pushing her to send some of her writing for publications feeling it would help people like her. That didn’t happen until she was 30. 4 pieces of hers were rejected with The Mighty before her first was accepted and published in January of 2018. She’s considers herself an aspiring writer trying to improve in several ways by reading and writing both online and in print. She’s always looks for different styles as well. From the people she admires and respects as writers, she openly accepts advice and criticism. She hopes to break out to other outlets for writing such as journals, magazines, books, and other paper print. Bianca was inspired to write at 25 years old to put her emotions into words. She needed a way to get all of her pain inside and out. She felt she can no longer keep it all bottled up inside when feeling so alone. She chose to keep writing so that other would never feel the emotional pain she felt. Her first published piece was with The Mighty that took 2 weeks to submit and 2 days for them to accept it. She was so proud when it happened. She grew as a writer by taking opportunities to feel and let out emotions. She signed up for any writing opportunity she was offered. She went on to create her own website to try and get a larger reach. She never gives up even with rejection. She hopes to continue to get published in more places and get her blog more attention. She desires to have a career with her blog and connect with others to help people not feel alone. She also hopes to write and book and have it published. She loves to write and is very dedicated to wanting to help those who cannot speak for themselves. She started to pursue writing at 25 years old based on inspiration from one of her friends. It took a couple of months for her first time to be published with The Mighty when she was 28. She has grown by networking and self-promotion. People she met through her writing journey has helped her grow. She sees herself coming out with a few books that she hopes she gets paid for. She also hopes to keep opening minds and changing viewpoints with her writing. Alexi was 17 years old when she started to pursue writing. She always loved reading magazines and books since she was a child. She always loved and appreciated how writers and journalists told stories and conveyed ideas and thoughts. A friend of hers told her that she should join her high school newspaper and take a journalism class as an elective in high school. She said it was the best decision she made and inspired her to pursue writing. Also, at 17, she was first published with her high school newspaper that took a few weeks for each article. She’s always challenging herself and always looking to improve her writing skills to grow. When she started writing for Unwritten Magazine, it gave her the freedom to write on diverse topics and try new writing techniques. She says the editors there were so helpful with editing her articles. According to her, they provided her with encouragement and support. She would like to see herself write nonfiction books and articles using different counseling techniques and practice with diverse populations. English was not his first language when he first arrived to the US. However, he was determined to learn English and become better day after day. He attended ESL (English as a second language) classes at a college in Chicago, and one of his assignments was to write an essay to be submitted to a radio station. He was encouraged by his teacher to pursue the project since he demonstrated good writing skills. That was one of his first writing pieces telling the world a little bit about himself. He was in his 20’s when he started pursuing writing. He was 32 when he first got published with an international organization called This I Believe, engaging people in writing and sharing essays describing the core values that guide their daily lives. Over 125,000 of these essays, written by people from all walks of life, have been archived here on our website, heard on public radio, chronicled through our books, and featured in weekly podcasts. The project is based on the popular 1950s radio series of the same name hosted by Edward R. Murrow. He didn’t expect to be published when he entered his submission but was published in 3-6 months. He feels he’s learning and changed his writing styles over the years. He wants to continue to improve and wants to be in a place where he’s comfortable by sharing his stories with other with this journey called life. Karla was 26 when she started to pursue writing inspired by a member of one of her favorite bands, Lifehouse. That member is Jason Wade. Karla said his writing of beautiful and hopeful music gave her hope when she was going though depression. She began listening and was introduced to their music during that time. She was first published by Blurb Books in November of 2012 that took a year and a half at 27 years old. The experience of publishing a book helped her grow as a writer to increase her confidence tremendously. 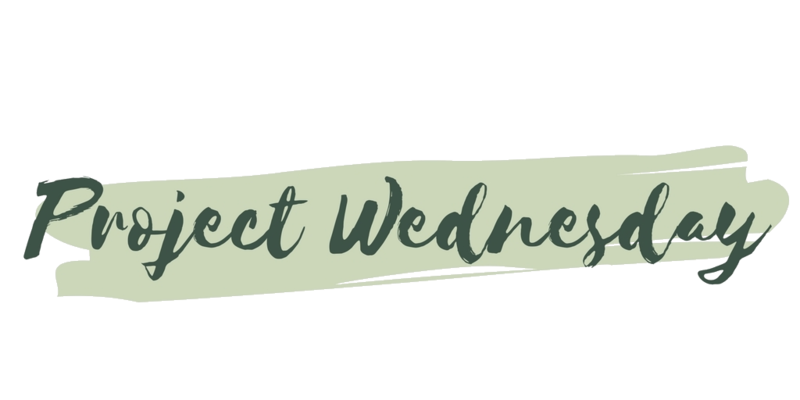 When she was published with The Mighty and Project Wednesday, she began communicating with editors who had a great belief in her ability to communicate and spread messages through written word. She hopes now to have a memoir competed. She also hopes to do something with motivational speak where she can talk about all of her accomplishments and encourage others interested in writing and a positive lifestyle to chase their dreams and never give up. When Juliana was 6thgrade of elementary school, her teacher had her class do a prompt on a certain topic. When each student was done, she wanted them to print them out so she can look them over. She finished hers very early. She then asked what she thought. When she looked at her face, she was sobbing because according to Juliana’s teacher, it was so good and so much more than just words on a piece of paper. That’s when she decided to pursue writing at 13 years old and after high school. Her parents would read the stories and tell her the same based on how good Juliana was. She was first published on The Mighty at 18 in 2017 that took her only five days after she sent in the submission. She was concerned about being published at first due to wanting to get her Associates Degree in Journalism in college before being published. She didn’t want too much on her plate. But today, she doesn’t regret it. She grows as a writer by her readers and coworkers. Without them, she feels she would not be where she is today. She now hopes to have a memoir published about her life and have it selling. We need to be the change that’s needed, one act of kindness at a time.